From the Hum: No excuses! New wave darlings Space Biscuit headline at the Jambalaya with San Francisco's solid alternative rock power trio The Institution. Opening the night is local electronica artist — are you ready for it? — Knot They're. Space Biscuit's Tamaras Abrams pulls double duty as her other band Electric Gravy closes the night with a short set of hip-hop electronica improvisation. This four-band night of something different will set you back a mere $5. Things start around 9 p.m., show is 21-and-over. Humboldt's singer-songwriter darling Josephine Johnson has moved to Los Angeles, where she's the after school programs director at Citizens of the World Charter School in Mar Vista and a development and communications assistant at WorldSpeak language academy in Santa Monica — "I'm thankful to have solid jobs that allow me to play music all over LA. I have landed in a very good space. Finally! Amen," Johnson writes. Congrats, Josephine! She's not completely done with us yet, though, and is returning to town for a CD release party for her new album, Let It All Out at the Palm Lounge. The show gets going around 9 p.m. when members of a Reason to Listen poetry collective will perform 15-minutes of original compositions followed by Perry Brubaker (The Plumb Uglies, Hollow Down) in a solo set. Johnson's band consists of Brubaker on Bass and Jay Forbes (Strix Vega) on drums. This is a 21-and-over show. Hippies, rejoice! 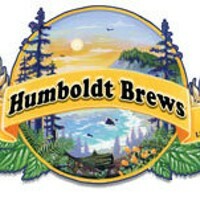 Festival favorite Hot Buttered Rum returns to the sweet, sweet music room of Humboldt Brews. For the ungreased, Hot Buttered Rum is a San Francisco band of five friends who perform what we shall refer to as "Americana fusion, a happy, sing-along mix of bluegrass hoe-down, high-art and roadhouse rock." They are serious about their mission. "Sing-along! Have fun! Hot Buttered Rum lives for songs. Songs to sing in the shower. Songs to crank through your ear buds at the DMV." Hot Buttered Rum boast three songwriters — Aaron Redner, Nat Keefe and Erik Yates — who spin tales about the good times, the bad times and the roads in between. If you're not sold yet, consider this: Last August, Hot Buttered Rum performed not only the "Star Spangled Banner" but "Bluegrass Fight Song" as part of the opening ceremony at a San Francisco Giants game, an achievement that covers them in oodles of cool in my book. (Is it baseball season, yet?) Doors open at 9 p.m., show is 21-and-over, tickets are $15 and recommended in advance. And in case all the above sounds too heartwarming and happy, never fear! Or perhaps ... fear. Because Chico doom metal masters Cold Blue Mountain are bringing their heavy sound to the Alibi for the first time. The band is touring an eponymous debut album, released last year on vinyl through Gogmagogical (!!!) Records and on cassette (!!!) through Vulture Print (as well as digitally through iTunes). Interesting tidbit from the band: "Over the summer/fall, the band took a break while our singer Brandon was a castmember of this season's The Amazing Race on CBS (unfortunately he didn't win)." 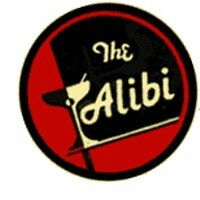 We're talking the Alibi, so music won't start till 11 p.m. or so and you'll need $5 to check out the band. Another 21-and-over, obv.